Earlier in the week, we were joking about the death of the QWERTY keyboard after seeing LG’s new low-tier slideout device called the Enact. We even wondered during the DL Show if there was a chance that we would ever see a DROID 5 since it has been well over a year since the DROID 4 made its debut. And what do you know, before the weekend could even arrive pictures of a new QWERTY device made by Motorola and headed to Verizon has made an appearance. The device appears to sport a decently sized edge-to-edge display with very little bezel. On the front, we have a front camera along with Motorola and Verizon logos. The slideout keyboard situated underneath it has a full five rows, plus a voice-to-text button. 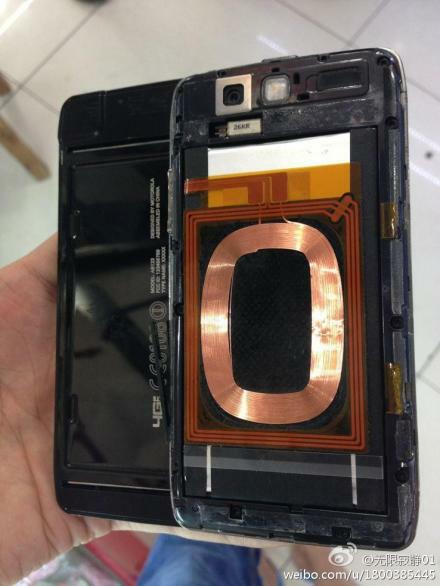 On the backside (in the picture below), we’re looking at a massive coil which could mean that this phone will have wireless charging. A 4G LTE logo can be seen as well, along with a camera lens, flash and speaker grill. 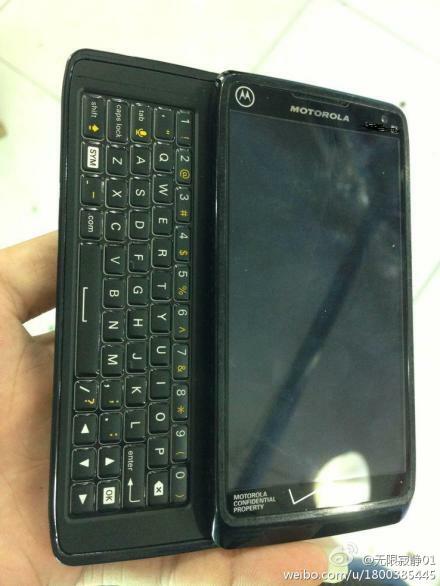 We don’t know any of the other specs, but how could this not utilize some form of Moto’s X8 Mobile Computing System? What we’d like to know now, is when it’ll arrive. Is this a holiday device? Motorola just released the Moto X, DROID ULTRA, MAXX, and Mini, so there really isn’t room for this phone at this time.